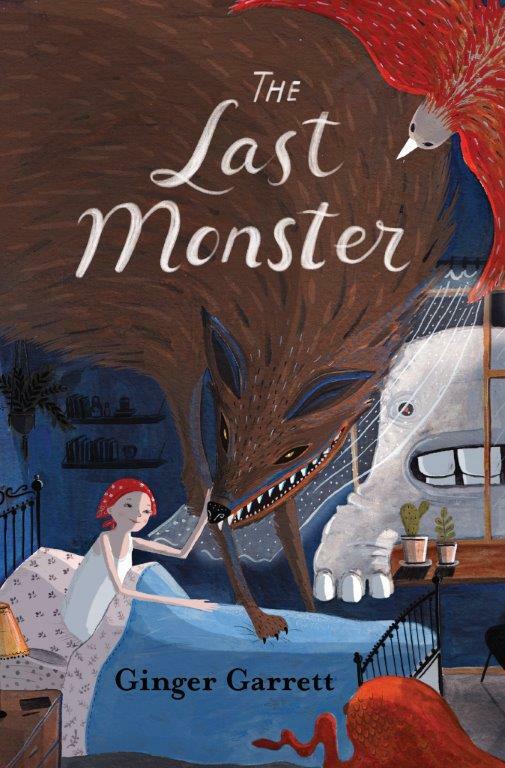 The Last Monster is an unexpected delight. It passed under my radar when I thought it was some sort of horror or epic battle with monsters, but it is nothing of the sort. Sofia has been chosen as a Guardian of monsters. When they are injured, she cares for them. As the back blurb says, "You made a decision to love what is unlovable." How compelling is that? This book is a blend of high realism and high fantasy. Sofia has lost her leg to cancer and has to wear a prosthesis. But it doesn't get mired in self-pity or what could be made into a one-dimensional issue of "sick kid." Instead, Sofia's trials with cancer have given the strength to face death and hopefully, life too. Sofia isn't the only multi-dimensional character in this book. Her best friend, Alexis, has had her own battles: she feels guilty about how skinny she is because her sister has anorexia. And Billy, the cute, new, troublemaker has enough depth to him that it feels like he deserves Sophia's attention. He takes to her right away because he feels like she knows what is true. Through Sofia's eyes, the monsters transform from terrifying to endearing, or at least Golem does. Sofia sees past his blocky exterior to a raw heart. My favorite passage was when Golem gently cups a dying sparrow in his hands, a bird that Sofia had recognized earlier for its drabness. "Not one of them was beautiful. No one went to the zoo to see sparrows; they weren't special." And yet, here were a monster created out of a nation's fears, and Sofia, the one chosen to guard this unloved creatures, bent over this creature, hoping it would not die. The detail that really caught my attention and compelled me to read this book is that Sofia was given an ancient book that allowed her to talk to Xeno, Aristotle's last student. Aristotle only takes a minor role in this story. And yet, it is completely fitting that it mentions him because Sofia is battling with truth and beauty and which one should prevail. The monsters also become a sophisticated way of Sofia confronting her own fears. She wished so powerfully to become someone other than who she was, that it created a monster that other monsters feared. Now will she be able to overcome that which she created? Garrett foreshadows that there will be more of Sofia's story to come. I look forward to reading it.